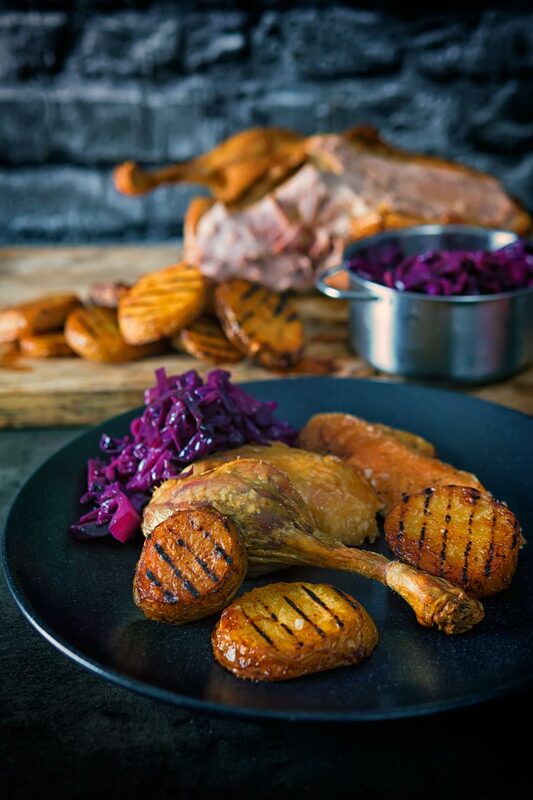 A whole roast duck always feels special and this recipe comes bundled with red cabbage and the very best potato recipe that I know! 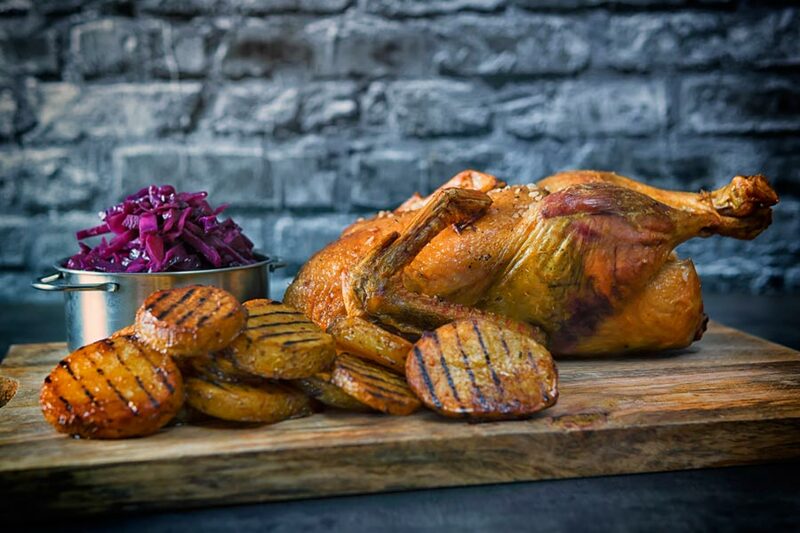 Whole Roast Duck With Scalloped Potatoes and Red Cabbage. Well, where do I start with this recipe? It is wonderfully old fashioned, about as British as it gets and as delicious as any dish I have ever cooked. Regular readers will know that I am rather fond of duck. Whether it is duck breast in my pan-fried duck breast with honey roast parsnips or slow-cooked duck legs in my duck donburi recipe. This however takes the whole duck and does something quite magical with it. 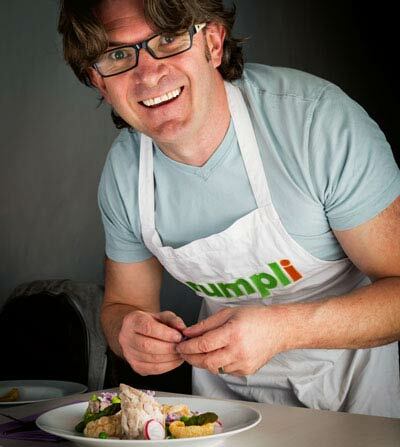 I use a technique I read about by a chef called Michel Roux Jr, so pretty much as close as you get to food royalty! It features the very best potatoes I have ever eaten or cooked, but more on those later. We then rock some red cabbage and make a wonderful buttery red wine giblet gravy. It is seriously a complete meal, ideal for a Christmas dinner for a smaller family. You will also not be left sat on the sofa pondering gastric surgery or subject you to the cursed turkey leftovers for months. It will alternatively make a great mid-Christmas meal that you can rustle up pretty simply and make people feel special. Because let’s face it duck always feels special! How To Roast A Duck. I’ve spent years playing around with different techniques for roasting duck. I’ve seen and tried everything from searing the bird to even boiling it before placing in an oven. This technique is insanely easy and has no preparation aside from stringing together the legs. This process is not even required if you don’t want to. But this is the best technique that I have found! The bird is thrown in the oven at a brutally high temperature and then the temperature is dropped whilst the cooking continues. The thing that really makes a difference with this duck is to not cook it in a roasting pan. 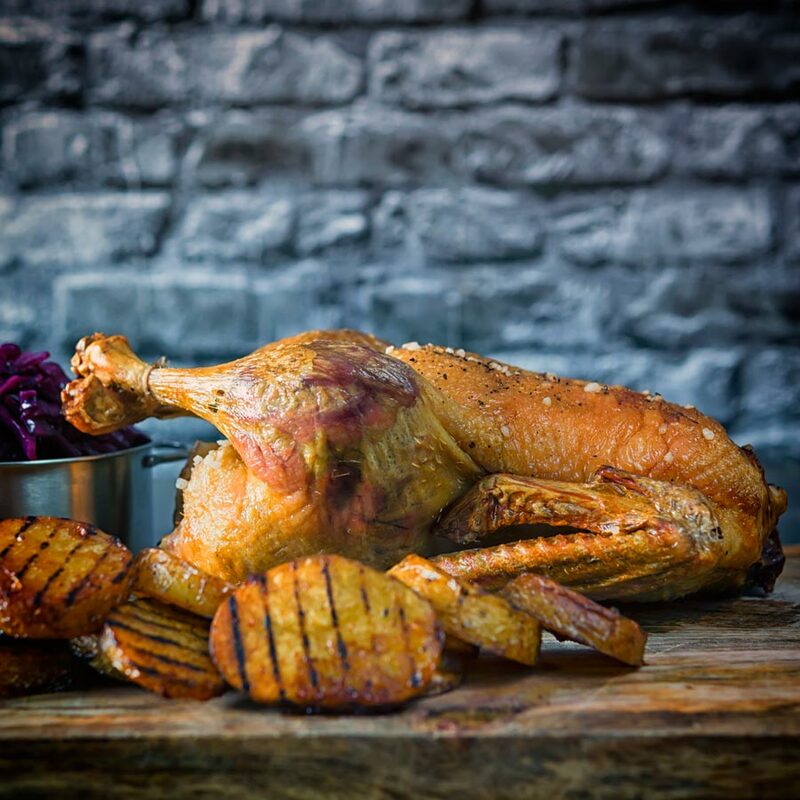 It allows the hot air to circulate around the bird freely which really helps render out that fat. One of the downsides is that it does make your oven a little muckier than roasting in a roasting tin. But this is a special meal, not one to cook all of the time, have you seen the calorie count? Cleaning the oven after really is worth it! Potatoes are my wifes favourite vegetable, she would eat them with every meal given half the chance. These are her favourite potatoes, no I do not cook them all the time, but when I do I am in the good books. She even prefers these to my proper chip shop chips, and that is saying something. So what makes these potatoes special? Duck fat and more specifically the duck fat that drips onto them from the duck. In many ways, the technique is very similar to Boulangere potatoes. Traditionally that would be a hunk of meat cooked in the cooling oven of the local bakery on a bed of potatoes. The fat would render out and then cook the potatoes. Even in the relatively short period of time these potatoes cook they begin by roasting. Then as the pan fills up with duck fat from the roasted duck and the begin to become confit potatoes. They are insane, wonderful, magical, think of a superlative and throw it away because it aint good enough to describe how good these krumpli are. Yes, my blog name means potato in Hungarian! The Red Cabbage and Gravy! Ok, we now have the perfect indulgent rich duck and potatoes that will blow your mind we need something to offset that richness. For me, that means red cabbage and a good red wine gravy or sauce. After all, food is about balance, we have fat, we have salty. Now we need a little sour and a touch of sweetness. My red cabbage recipe is a slight tweak on the one I use in my roast pork belly recipe. It serves very much the same purpose, a little sweet and sour magic, to cut through the richness. It also leans on a little bit of cinnamon and star anise to add a little festive sparkle, you can, of course, leave that out. Finally, we have a gravy. A simple affair using the giblets from the duck to make a quick stock. The reduce that down and add some red wine, again reduce that down and add butter. Whisk to emulsify and bosh we have an insanely tasty gravy, far better than anything you will get from a packet. So there you have it a rarity from me… A left-field suggestion for a Christmas meal, one that is beautiful, elegant, yet indulgent and comforting. If you want more veg knock yourselves out, but it really does not need it. You need to save room for all the other munching to be done during the day. And if you have leftovers then take a look at my duck bonbons. They will be the purdiest leftover dish you will eat this year! Heat the oven to 240°C 450°F. Trim up the duck of any excess fat and season will inside and out generously with salt. Tie the legs of the duck at the 'ankle'. Place a roasting tin on the lowest shelf of the oven to catch the dripping fat from the duck. The place the duck in the oven directly on a cooling grid, this allows the duck to cook evenly. Cook on this high heat for 20 minutes. Whilst this is happening heat a griddle pan over a high heat. Heat the oil for the red cabbage in a pan over a medium heat and cook for 20 minutes or until softened. Slice your potatoes into 1cm thick scallops and then pour over the oil and season with salt and pepper. Grill the potatoes for a couple of minutes on each side to get some nice grill marks. Once the potatoes have the griddle marks and your duck has been cooking for 20 minutes arrange the potatoes in a single layer on the tray under the duck. Reduce the heat to 180°C or 350°F and cook for a further 40 minutes. By now your cabbage should be softened, add in the red wine, honey, red wine vinegar, star anise and cinamon, and a generous seasoning of salt and pepper. Reduce the heat to medium low and cook for an hour, this should tie in perfect with when your duck is rested and ready to carve. Meanwhile place the giblets from the bird in a pan with the onion that is roughly chopped and the ceelery roughly chopped and bring to a simmer for 40 minutes. Remove the duck from the oven and tent with foil and rest for 20 minutes. This is THE most important part of this recipe! Shift the potatoes to the middle of the oven and baste with the duck fat they are sitting in and allow them to cook on for the 20 minute resting time. After your duck has been resting for 5 minutes heat a dry pan over a hig heat and add the red wine for the gravy and reduce by two thirds. Drain off the stock we made from the giblets and add it to the wine reduction. Reduce by half again, skimming off any foam, taste and season as required with salt and pepper. Add the duck resting juoces and whisk in the butter just before serving! Sounds and looks delish. We love duck and braised red cabbage, they go together. I am Hungarian born and live in British Columbia , Canada. Are either of you of Hungarian heritage? Duck and cabbage certainly is a match made in heaven… Both my wife and I are British born, we just kinda love the quiet life in the Hungarian countryside. I’ve never had duck. I’ve never seen it in stores around where I live and I’m afraid to order it out in case I don’t like it haha. We did just find a legit butcher shop though – will have to check it out soon and get a little more adventurous int he kitchen because this recipe looks so good! You should definitely give it a try, order it next time you are out! We love it, such a wonderfully tasty meat! I like duck, as well. In fact, it is hunting season where I am right now. Unfortunately, I just cannot go this year so I hope my friends and family can drop off a duck or two for me to experiment with! Wow – a meal fit for royalty indeed! What a delicious and exquisite treat! 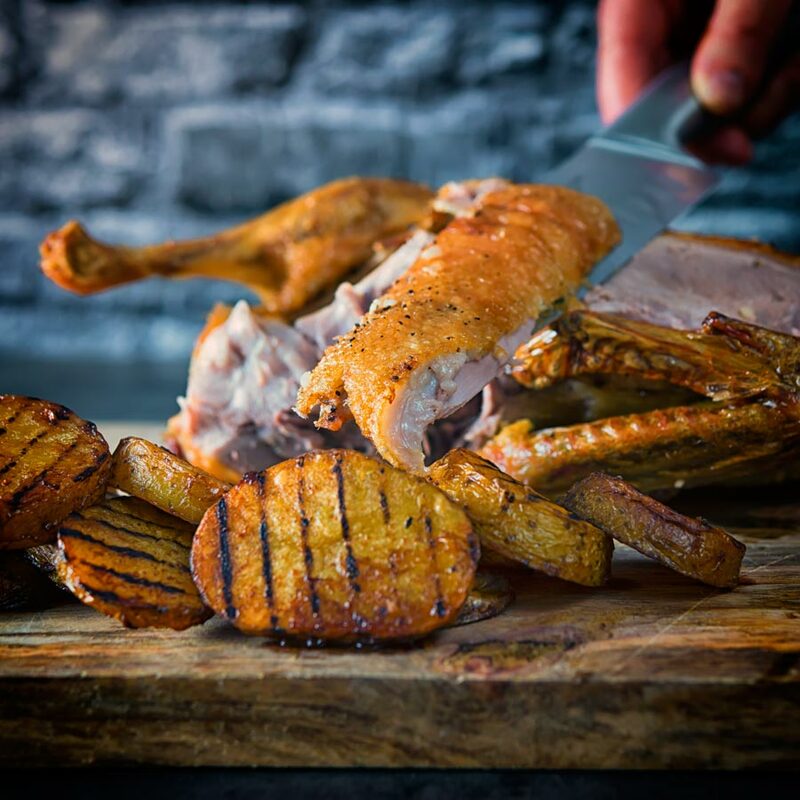 Your duck looks wonderful – so tender and potatoes are perfection! This is totally a dish after my own heart, I adore roast duck and love that you found a simple way to make it work well at home! I usually only have it out. Also love duck fat roasted potatoes, we do those too. So good! Thanks Kavita, it is indeed a lovely recipe and those potatoes are #swoon! 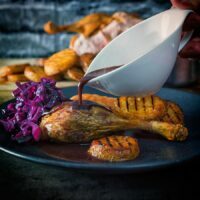 We usually only have red cabbage at Christmas, but this recipe has reminded me how much I love it. I might make some tonight. 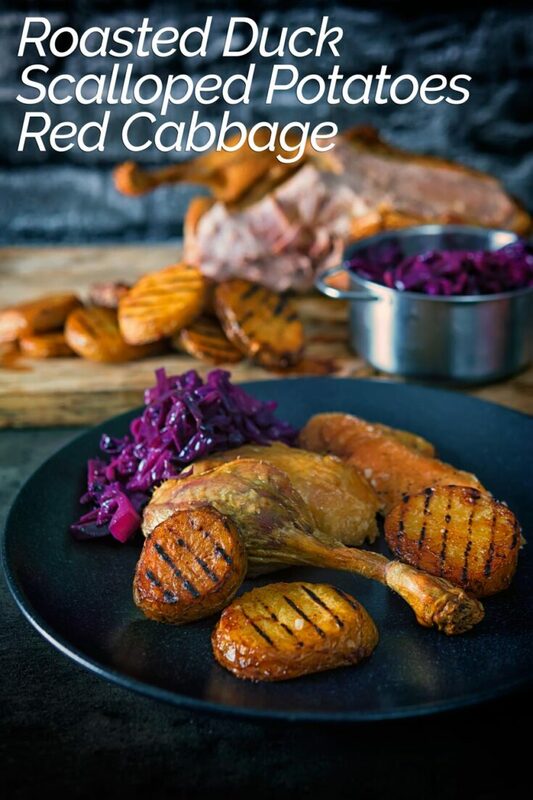 I use red cabbage all the time through autumn and winter, it is a fab side.